Today’s microblading is based on a pigmentation method which has been used for several thousands of years. Pigmentation is worked into the first layer of skin by opening the skin with so-called “blades”. These are not real blades, but rather combs of delicate needles which enable the pigments to enter your skin. Is Microblading like a permanent make-up? Yes, microblading is a form of permanent makeup. However, it is a more natural method and less profound than modern permanent make-up. 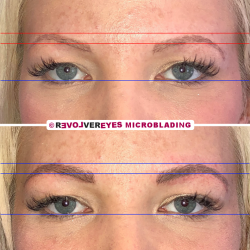 The lines which are drawn when microblading are much thinner and precise than with traditional tattoo-like permanent make-up which in general results in more solid and large lines and which is more appropriate for contours and shades of all sorts. My correction of an old, slightly irregular eyebrow shape. More pictures are available on Instagram. Who should go for Microblading? Everybody who wants beautiful, dense and well defined eyebrows. If you have only few eyebrows, then microblading can rebuilt your eyebrows optically and give the remaining natural brows the required depth. If you have many eyebrows then the basic shape can help you respect the shape when you remove the excess brows. What happens during my Microblading appointment? First we have to discuss your style and what kind of brows you are looking for. Once we found out what motivates you and what you expect visually we will discuss briefly your medical background so that the treatment will be well-supported. Right thereafter I will draw your eyebrow shape and then draw the actual brows. How do you define the shape? I will ask you to lay down and relax and then I will draw the outer limits of your eyebrows. 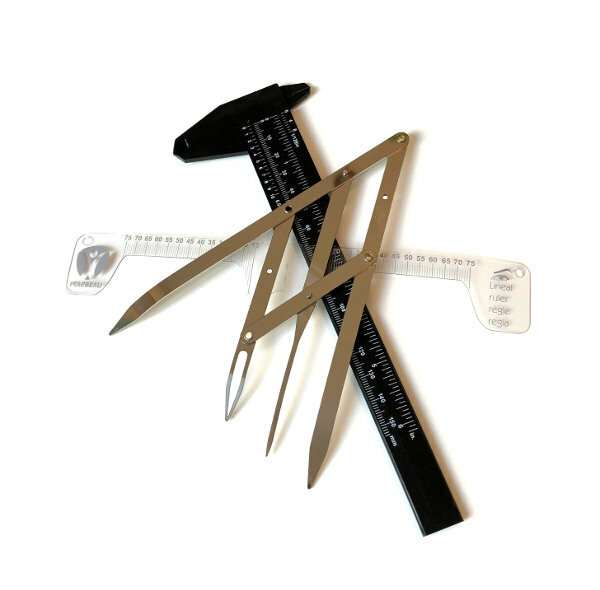 I take into account the proportions of your face and take precise measurements so as to make sure that the result will be as harmonious as possible and will suit your face and style. I will obviously take into account your wishes. At the end we will look at the proposal together and if you like the shape we can get started. So that’s when the exciting part starts? Yes, but you can relax. The most complicated part is over. We will now choose the color for your pigmentation. I will provide advice and then we’ll decide together what suits you best. At the end all that remains to be done is to draw the brows. I will follow your natural hair whenever possible, but will also compensate not only for optimising the density, but also the direction of the growth so that your eyebrows will provide the right frame for your face in order to “open” your look. My goal is to achieve a harmonious and natural-looking result. I heard that Microblading is painful, is that correct? Not at Revolver Eyes. I developed a numbing process which enables me to offer you a pain-free treatment. My process does not use fatty numbing creams as fat causes the pigments to dilute over time. My process permits a stable result over a much longer period of time – without compromising the comfort of your treatment. No, this is quite the exception. 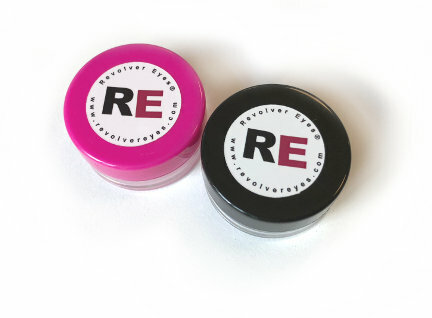 I am only using quality pigments produced in Germany from PUREBEAU and which have been developed specifically for microblading and which are very well supported. However, if you have already reacted to anaesthetics or colouring agents, then we can perform a test in order to check if you will support our products or not – please let me know beforehand so that we can schedule a small test appointment one week before your main appointment. About 18 month, but you are free to come back after some 9-12 months after the last appointment of the initial treatment for a refresh appointment if you think that the lines have cleared out too much. In order to optimise the duration of the design we ask you to return four weeks after your first appointment in order to complete your brows in a second treatment. We add additional lines and ensure that all lines are well present and durable. After another four weeks we verify the result again and, if necessary, perfect the result further. All three appointments are included in the price. And how to I take care of my new eyebrows? During the first two weeks there are a few restrictions that apply in a similar way than after receiving a tattoo. Our after care kit helps your brows to heal and optimise the result. After the first two weeks there is nothing special to observe anymore. To make it short: no solarium, no sauna, no laying in the sun, no chlorine water, no heavy exercises during two weeks. And the first 48h no alcohol, especially no red wine. And ideally no fatty creams during the first few days. These restrictions all have their good reasons. In order make sure that the pigments can adhere well we need to avoid everything which pushes them outward, which dilutes or which even bleaches them. So as to avoid dilution we avoid everything which accelerates the blood circulation too much such as sport and alcohol. So as to avoid flushing out effects we avoid transpiration-inducing activities like sauna, sports and fatty skin treatments. And we have to avoid bleaching agents like chlorine water in swimming pools and too much sun. We must avoid other colouring agents like you may use for your hair or brows during the same first two weeks as well so as to avoid interactions between these colors and the microblading pigments. How can you distinguish good from bad Microblading? There are many criteria, some are more subjective like the shape of the brows and the direction of the drawn hairs. Some are objective like the stability of the pigments. If the natural pigmentation of the skin is not compensated right, then it can happen that the lines get either a bit gray or reddish. That also depends on the quality of the pigments, but also from the right choice of the pigments. That is why I am using the Microblading-Pigments from PUREBEAU which have been developed specifically for the different skin types. Microblading is a minimal-invasive method which produces a maximum effect. An effect that lasts long and which gives your face – a unique piece of art – the right frame: natural and harmonious eyebrows.